Search "makeup" on Pinterest, and you'll instantly see a smattering of the ubiquitous Instagram look: Airbrushed eye shadow, airbrushed eyebrows, bright metallic highlight and matte lips. There's a reason this aesthetic is wildly popular on social media: People love it. But sift through the countless cut creases and perfectly made-up faces and you'll find some interesting beauty intel: under-the-radar looks and trending products. In recent months, we've come across gems like faux freckles and lip masks, but the hottest makeup look du jour is blue mascara. Objectively, coloured lashes may be met with pause, but see it firsthand, and you'll understand why Pinterest searches are up 234% for this product. Curious to try it yourself? We spoke with celebrity makeup artists Tina Turnbow and Ashlee Glazer, Laura Geller's global artistic director, for their thoughts on the trend. "I think the blue mascara trend is so fun," says Glazer." It's beautiful and edgy with a throwback to the glam '80s and punk-rock era. 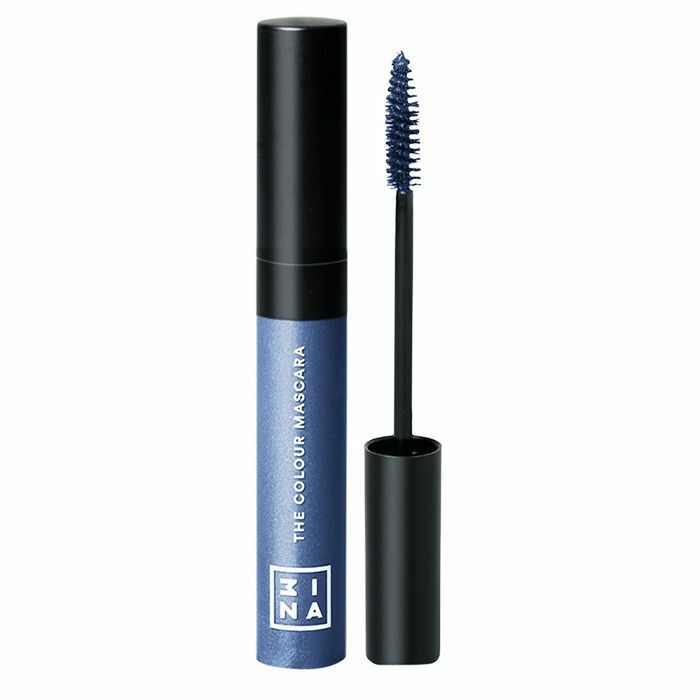 When wearing blue mascara, it’s important to keep the eye shadow or liner soft, as to not overpower the look. You can either add a flash of metallic, gold or silver, or you can just stick with a classic black liner such as Laura Geller Inkcredible Eyeliner (£25). To really make it all about the lashes, go with no liner at all." Turnbow suggests adding "a bit of blue eyeliner super-close to the root of the lash line" for a cool effect, and if you want to keep the look subtle, just focus the mascara on the bottom lashes to "brighten the eye." For the office, both Turnbow and Glazer suggest just applying it to the tips of your lashes, or as Glazer suggests, just the outer edges to enhance the eye. 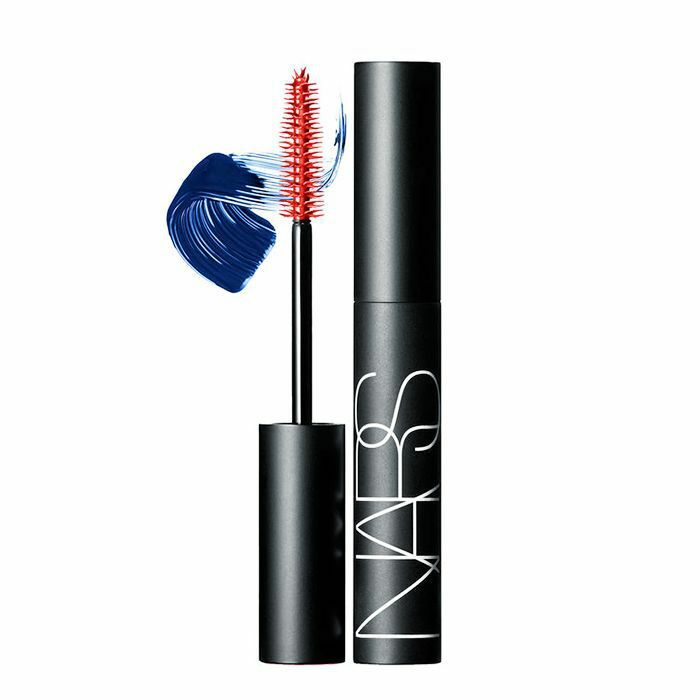 She also recommends a deeper royal blue (we like Yves Saint Laurent Vinyl Couture Mascara, £26) instead of an electric blue lash. Come nighttime, though (or if you're not afraid of turning it up in the office), Glazer says to go bold: "Apply the brightest blue mascara hue on top and bottom lashes for intense drama." With a look as fun as blue lashes, it's wise to let them take centre stage. Says Glazer, "You will need a lip that's in a neutral or cool pink tone to complement these lashes. 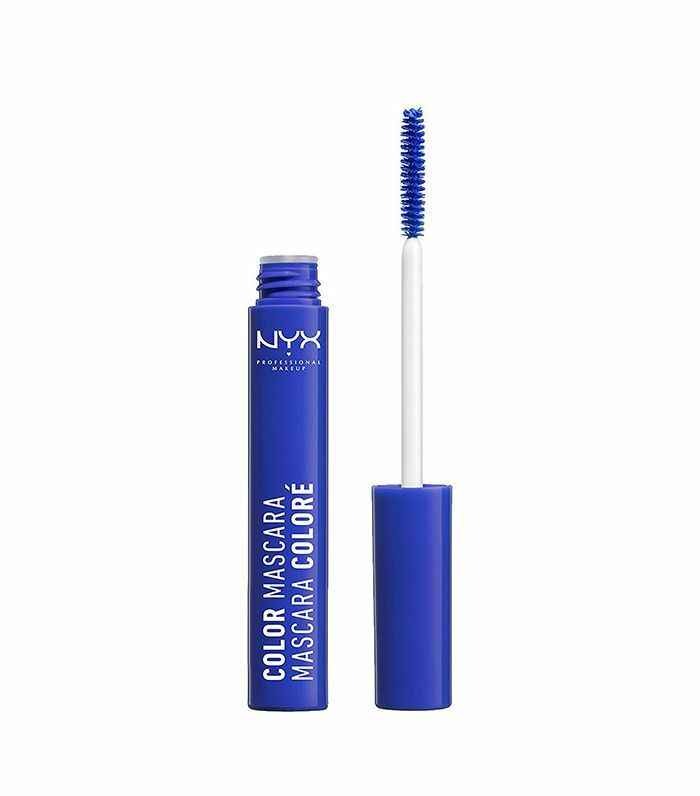 When wearing blue mascara, the lashes should be the focus, so make sure whatever lip you choose doesn’t take away from that." Though if you want to add a bit more drama, Turnbow loves the look of a deep plum or wine lip for autumn. Next up, this is why these women have tattooed their lash lines.